Prince Harry and Meghan Markle‘s days before their May royal wedding was filled with dramas. Starting to the paparazzi photos scandal surrounding Meghan’s father Thomas Markle to him having a heart attack that eventually stopped him from attending the nuptials, there was seemingly no peace day for the couple, who is now expecting their first child together. However, Prince Charles came out to save the day as he took over the retired Hollywood light director’s place to walk the Duchess of Sussex down the aisle on her and his son’s big day. 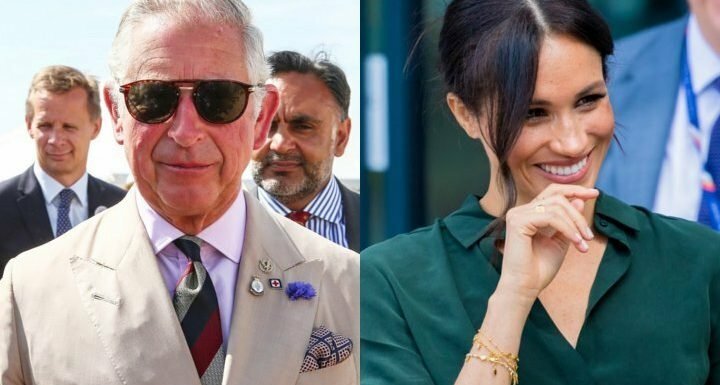 Speaking in a BBC documentary created in honor of Charles’ upcoming 70th birthday, Harry revealed how the Duke of Cornwall reacted when he asked him for help. “I asked him to and I think he knew it was coming, and he immediately said ‘yes, of course, I’ll do whatever Meghan needs and I’m here to support you,’ ” shared the Duke of Sussex. Prince Charles’ wife Camilla also weighed in on the touching moment. “I think that was very touching, sitting where I was, you couldn’t hear what he said. But afterwards watching it on the television, I think… it was a lovely gesture,” the Duchess of Cornwall said.